Due to the pace of progress in the early days of the company there are gaps in documentation. These pages may however provide some help. Introduced Dec 2017 – The first Major change is the Light speed control (LSC) which introduces absolute speed control along with significantly increased performance. LSC is easily identified from the platter which has a 50mm (approx) silver strip on the underside. Secondly, a new fully balanced specially wound small upgrade transformer is introduced for all turntables below the Sovereign ( which has a better version). This lowers mains corruption and reduces impedance over the wallwarts used previously. Performance improvement is very obvious to the ear. Other improvements include a better bearing and subchassis design. The new subchassis design includes a seperate armboard and superior plate material. Introduced April 2016 – The new decks are designated “MK3-1” on their label to supersede the MK3. 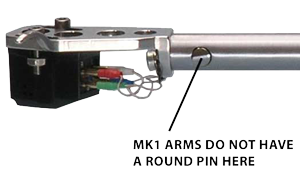 The MK3-1 includes a costly new motor upgrade which has significantly improved performance. The new motors increase drive torque between 2 and 4 times that of previous decks. Subjectively the sound improvement is dramatic with more punch, increased pace, dynamics and slam in the bass. Because the new motors are smoother running, resolution and all other aspects are also improved. The first reviewer to receive a new motor was highly impressed. Owners have also expressed great satisfaction with the upgrade. The turntable power supply has also been improved to include temperature compensation so speed is now hardly affected by room temperature changes. Allied to this is an increase in load compensation. The optional upgrade transformer has been dramatically improved using a fully balanced, noise reducing configuration, allied with a purpose built design to improve mains isolation. Marked improvements to all aspects of sound quality are immediately apparent when comparing this with the original transformer. Again the price has risen after maintaining the old one for over 10 years. The new transformers are identified by a “B” (for Balanced) after the Serial number. Older MK2 & MK3 decks can be upgraded to the new motor and power supply specification. These older decks may be upgraded by dealing directly with Origin Live. 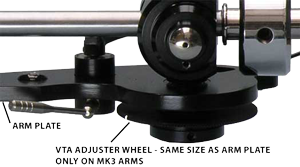 Introduced April 2014 – The MK3 most notably includes an improved bearing and platter. The belt and motor pulley have also been significantly upgraded to give improved sonic performance. In November 2017 there was a major major upgrade on Silver hybrid cable – this catapulted the performance of a £450 cable to outperform respected brands in the £4500 region. The easy way to identify the new version is that they were fitted with Black Rhodium GR4 Phono Plugs – unmistakable because GR4 is printed on the plugs. These plugs are the best we have ever encountered but are not the reason for the enormous improvement in sound quality. In May 2018 the cable was “hum proofed” through the addition of an earth wire option to connect the signal return to earth. This is not an upgrade to performance but a measure to cater for different amplifier designs which can cause hum issues. This is more fully explained in the product description of Silver Hybrid cable.